Your personal style is reflected in the furniture you choose. 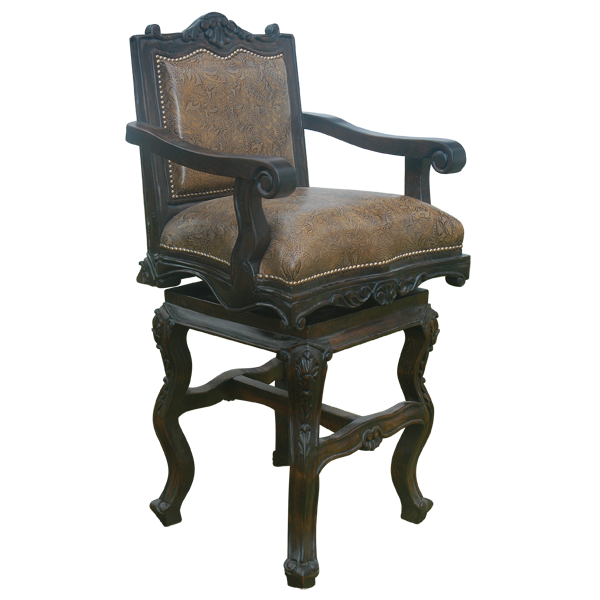 You cannot go wrong with this impeccably designed handcrafted Spanish colonial style bar stool. This handsome bar stool will make a large statement in whatever space it is placed. 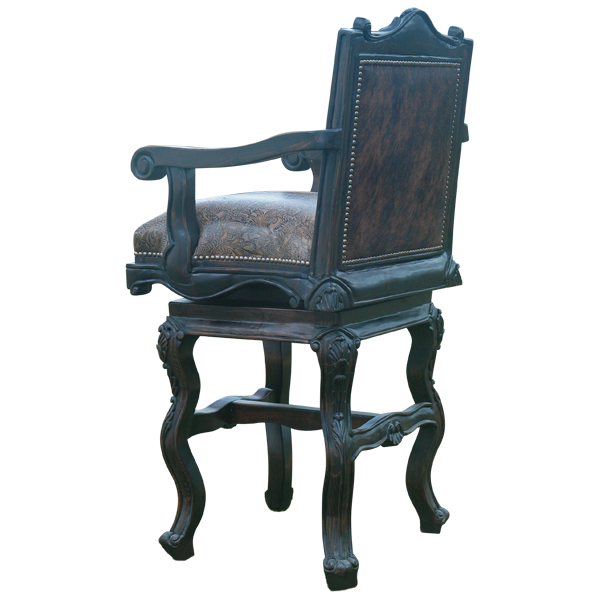 It is beautifully finished with dark stain and the seat, inside seat back, and reverse seatback are upholstered in rich dark brown full grain leather. The upholstery is hand tacked with precision around the entire base of the bar stool by our skilled craftsmen. 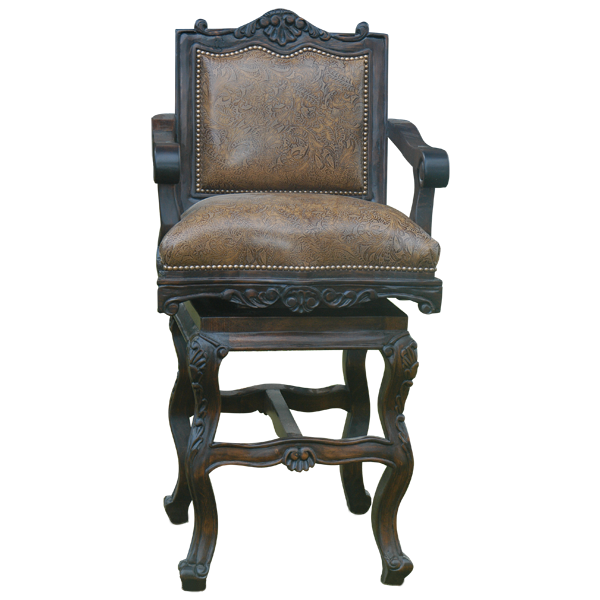 Its Baroque style is reflected in elegant ornate hand carved floral designs and scrolling in all main accents of the bar stool, including the top crest, the body rim, and the main body. All hand carving is performed in our factory by our skilled craftsmen. The long cabriole legs of this bar stool are joined by a midway “H” stretcher with hand carved shells and tapered feet. Comfortable and durable, this bar stool swivels 180° and is 100% customizable.